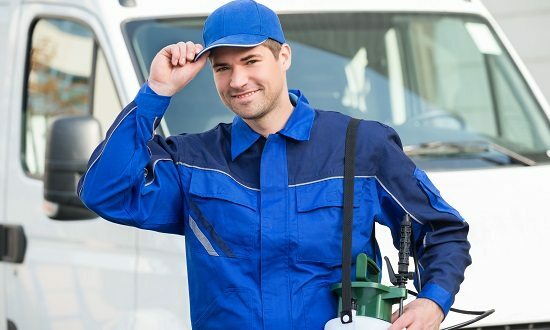 Our pest control services and strategies are among the best in the industry. Having knowledgeable technicians, state-of-the-art materials and up-to-date training, we can proudly offer our customers impeccable service at a VERY GOOD PRICE. We provide effective pest management throughout Tujunga, Burbank, Glendale, Woodland Hills, Pasadena, Encino, Studio City, Tarzana, West Hills and the surrounding areas of Los Angeles County. Our basic service provides control of the following pests: Ants, Roaches, Earwigs, Crickets, Silverfish, Fleas, Ticks, Black Widow Spiders and Wasps under the first story eaves. We offer monthly, bi-monthly and quarterly services upon request or based on the severity of the infestation. A thorough inspection by our licensed technician is required before any initial treatment can begin. Note: Before a bed bug problem can be controlled, a thorough inspection for a nominal fee is required. We proudly service schools, churches, businesses and manufacturing utilizing integrated pest management based on evaluations, decisions and controls. We offer a combination of common-sense practices. As a first line of pest control, we inspect interior and exterior spaces so we can manage to prevent pests from becoming a threat. Our control methods can be very effective and cost-efficient and present little-to-no risk to people, or the environment. Once our monitoring identifications indicate that pest control is required we will then evaluate the proper control method for both effectiveness and risk. Effective, less risky pest controls are chosen first. In heavy infestations, additional pest control methods will be employed, such as targeted spraying of pesticides. We want you to be completely satisfied with our termite and pest control work. If your termites and pests return after our initial treatments we will re-treat the areas at no additional charge. Contact our technicians at 800-587-7015 today for questions about Lion Gate organic treatment and how to get started today. Located in Tujunga, CA, Lion Gate Pest Control offers affordable pest control services to Burbank, Glendale, Pasadena, West Hills, Tarzana, Studio City, Woodland Hills, Encino, and surrounding areas of Los Angeles.